Rodgers and Hammersteins 1947 concept musical ALLEGRO was the one that got away. A mixed critical reception and an indifferent audience especially after the hearty responses to the authors two previous entries, OKLAHOMA! 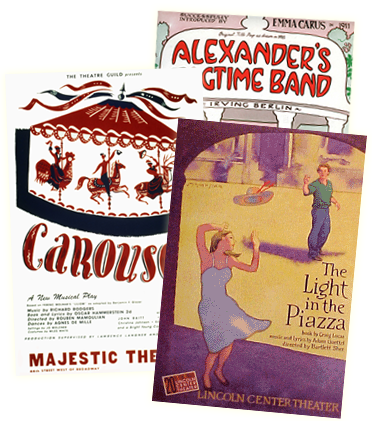 and CAROUSEL soon consigned ALLEGRO to the record books as one of R&Hs shortest Broadway runs and biggest box office disappointments. Neither man ever gave up on it, however; Hammerstein was working on a teleplay version the summer he died, and Rodgers, writing in his autobiography thirty years after its premiere, referred to various proposals for revising ALLEGRO and sighed, Though so far none has seemed feasible, I still keep hoping. Hope is still alive, responded Peter Marks in the Washington Post in January 2004, after a newly revised version of ALLEGRO had its world premiere at the Signature Theatre in Arlington, Virginia.With a new book by Joe DiPietro that makes smooth and substantial alterations, and a handsome, streamlined staging by Eric Schaeffer, ALLEGRO has been granted an intriguing second life...Its myriad structural and melodic innovations justify all the loving care lavished on it by the company. The father-son theme woven into the original Hammerstein libretto is illuminated in DiPietros more focused, intimate adaptation providing a metaphor for this versions own father-son evolution: the original ALLEGROs production assistant, or gofer, was Hammersteins protg, a high school student named Stephen Sondheim, who often looked up to the great theatre man as a father figure. The newest ALLEGRO has been written by DiPietro, himself a protg of Oscars son James, who had nurtured DiPietros career ever since he first attended a reading of a musical by DiPietro and composer Jimmy Roberts in the early 1990s. That musical went on to become the worldwide phenomenon, I LOVE YOU, YOURE PERFECT, NOW CHANGE. James Hammerstein produced I LOVE YOU..., and guided DiPietro through the development of several more plays. In the late 9Os, Hammerstein started work on what would eventually become DiPietro and Roberts Off-Broadway musical THE THING ABOUT MEN; around the same time, he shared with DiPietro his dream of trying to fix the one show of his fathers that his father never got the chance to fix himself: ALLEGRO. Hammersteins plan was to produce a new version of ALLEGRO, with a book by DiPietro. Then, in early 1999, James Hammerstein died, and his plans for ALLEGRO seemed to die with him. But Dena Hammerstein, his widow and an ardent supporter of DiPietros, had no intention of letting the project fade away. Jamie always wanted to do this for his father; to make Oscars vision of ALLEGRO shine, she told the Washington Post, so it became one of my major goals. Working closely with Dena, and drawing from his numerous conversations with Jamie, Joe DiPietro crafted his own version of ALLEGRO. In 2002, a reading was held in New York City that gave everyone involved the confidence to move the project forward. For Dena Hammerstein, that meant bringing ALLEGRO to Eric Schaeffer and his renowned Signature Theater. Schaeffer whose theater had previously tackled such ambitious musicals as SIDE SHOW, FLOYD COLLINS, 110 IN THE SHADE and most of the Sondheim canon readily took it on, with its built-in challenges duly noted. Its unlike anything weve ever done at Signature, he told the Washington Post. This is an epic show We cover 35 years in two hours, so weve had to develop a new way to tell a story. Rodgers and Hammersteins original version was epic, too literally and figuratively: in keeping with the norms of the day, ALLEGRO boasted a huge chorus, a dancing ensemble, and a vast cast of characters; the Broadway company featured nearly 100 performers in all. Its story of an Everyman from cradle to mid-life, and his journey from small-town America to the big city and back again, was told in sweeping, almost operatic terms; the R&H score was abetted by a seamless yet ambitious matrix of direction and choreography by Agnes de Mille, and a complex treadmill set and lighting plot by Jo Mielziner. DiPietros mandate, by contrast, was to sharply cut ALLEGRO down in size and scale while retaining the essential heart and soul of this deeply-felt work. The result, wrote Paul Harris in Variety, is an inviting production that plainly speaks its mind and delivers a melodic score with conviction and integrity. The DiPietro version follows the Hammerstein original in its story of Joseph Taylor Jr., the only child of dedicated small town doctor and his wife, who both fully expect their newborn to follow in the proud papas footsteps. Joseph Jr. has dreams of his own, however, and in the DiPietro version, the struggle to honor his father while remaining true to himself forms the dramatic core of the piece. If we are successfu1, DiPietro told the Washington Times, there will be a lot of heart to this show. With a cast of 14, and an orchestra of 10 playing Jonathan Tunicks new orchestrations, conducted by Jon Kalbfleisch, the new ALLEGRO had its world premiere at the Signature Theater in January 2004.
dream of a second chance for the piece, but has firmly placed it on the mantle with the other great works in their canon. A lovely, satisfying experience, reported Potomac Stages. ALLEGRO is now ready to earn a place in the repertory of regional and community theaters around the country. Adding to that chorus, Varietys Paul Harris noted that the scaled-down version has todays theater economies at heart. 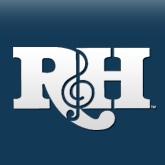 It just might become a belated contributor to the prestigious R&H stable. In the Baltimore Sun, J. Wynn Rousuck observed, Time does funny things. When ALLEGRO debuted on Broadway in 1947, the allegorical musical was considered experimental, controversial and, at least in monetary terms, a failure. Seen today, the show seems less daring than prescient...The storys central theme of not forsaking your values and dreams for the crass satisfactions of money and status seems timelier than ever. Who knows?, Rousuck concluded. Given a broader forum, this elegantly re-envisioned treasure just might find its audience at long last. Stay tuned for further news.